3 Is pharm-24h.com a scam or legit? The website of this online pharmacy was registered in 2016 and it is slightly over 2 years old. 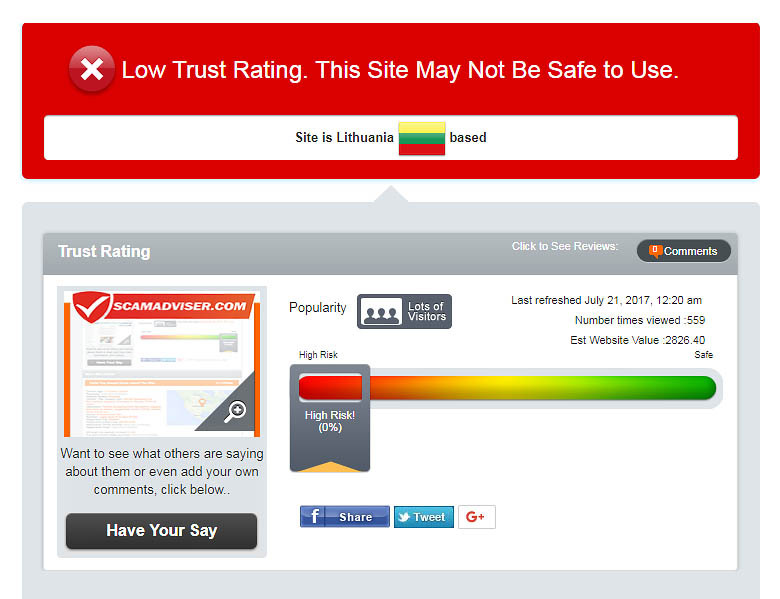 A comprehensive scam analysis using scam adviser shows that this site has a very low trust rating. 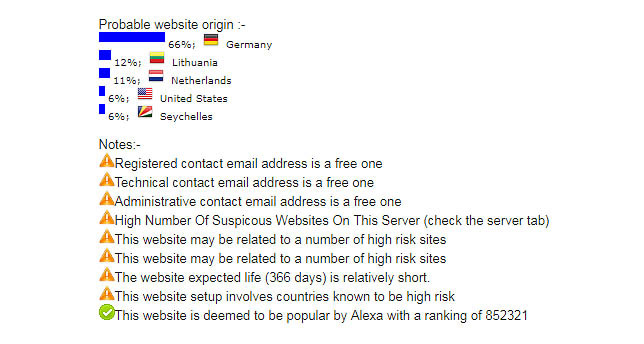 Information about the location of the website remains unclear, but we believe that it could be based in Lithuania (a high-risk country). The website has over 100 mirror websites online, which is a clear indication that it belongs to an illegal affiliate program. All related websites are highly suspicious and some of them have a history of online fraud. Clients should therefore take extra care when transacting on this site. This pharmacy goes by the name “Sky Pharmacy”. However, just like any other rogue pharmacy, no information is forthcoming about the real owners of this store. Furthermore, there is no information available about the business address. The only available contact details are a US phone number and an EU telephone number. Although the Sky Pharmacy website consists of seals from various regulatory agencies, this pharmacy does not have any legal approvals. 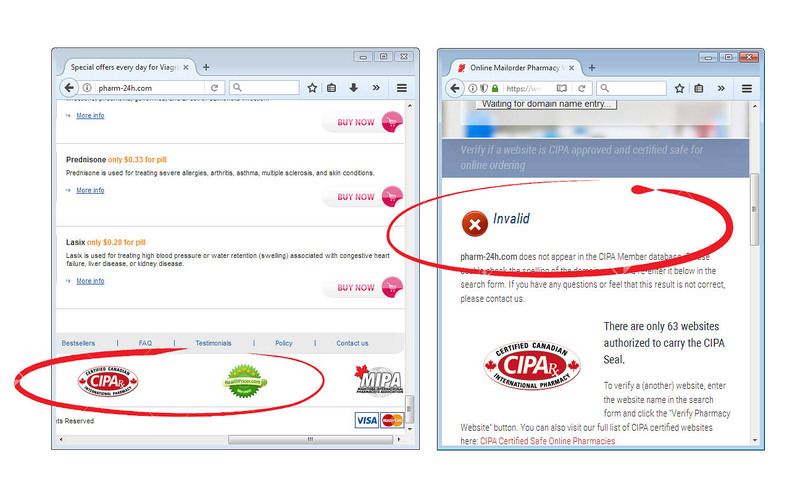 A quick search on CIPA.com reveals that this drug store does not appear in the agency’s database, contrary to what they want people to believe. In fact, the company is using a fake license to deceive unsuspecting clients. The lack of a business license or any legal approval means that it is operating illegally. Clients run the risk of encountering fake medications since there is no way of ensuring that the drugs are genuinely certified. Sky Pharmacy claims to offer all types of drugs. However, the most popular medications on this platform are sexual health products. This is no coincidence considering that most rogue pharmacies prefer selling sexual health medications. The reason for this is that most clients feel more comfortable purchasing sexual health drugs online since it is convenient and discrete. Rogue pharmacies take advantage of this need to fleece unsuspecting clients off their hard-earned cash. The quality of medications on this platform is questionable as well. We suspect that these medicines originate from India and Pakistan, since these countries which lack stringent laws on the manufacturing of drugs. The fact that Sky Pharmacy does not have a license means that they could also be involved in cross-border smuggling. Buyers should therefore be wary of consuming medications from this pharmacy considering the high risk of poisoning from counterfeits drugs. The prices of medications on this website are insanely low. 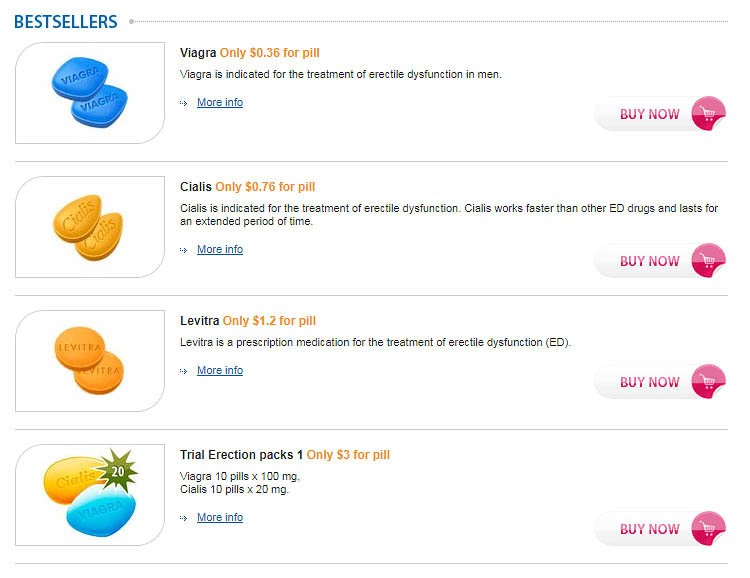 Some of the bestsellers like Viagra costs for only $0.36 per pill, while Cialis costs $0.76 per pill. Levitra goes for $1.76, which is probably the highest price for generic drugs. Factoring in the cost of manufacturing and transporting these medications, the pricing simply does not add up. We believe that this pharmacy is using the low prices to lure unsuspecting clients. Furthermore, these medications are probably not genuine that is why they are available at such low prices. Placing an order and making payments on this platform is easy and straightforward. Sky Pharmacy accepts major credit cards, including MasterCard and VISA. Payments can be made in five different currencies, including USD, EUR, CAD, AUD, and GBP. All transactions are encrypted using Hyper Text Transfer Protocol Secure (HTTPS) to protect clients’ info and credit card data. 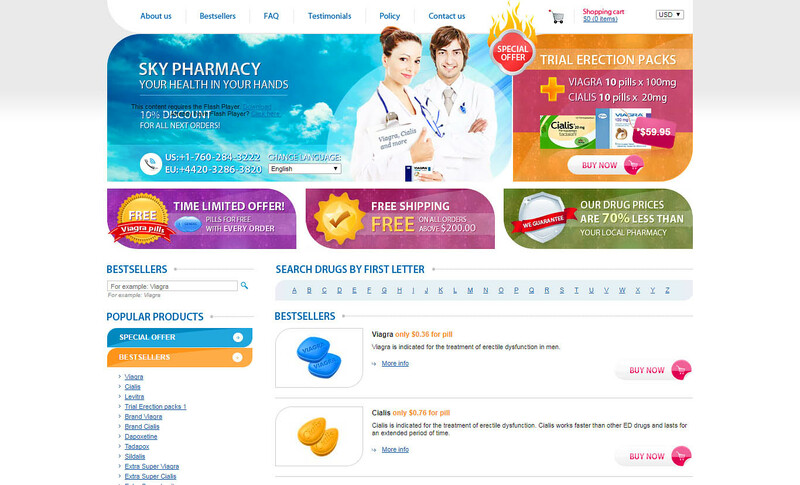 This online pharmacy offers two shipping options. These include Standard Airmail and EMS. Delivery times vary according to the destination, but standard airmail takes 2-3 weeks, while EMS takes 3-8 days. The cost of airmail shipping is $9.95 while EMS costs $19.95. You may have to pay $4.95 to enjoy the trackable shipping service. Standard free shipping is available for orders over $200, while free EMS shipping is available for orders over $300. You may contact customer support in case of any issues with your order. This pharmacy offers email support and phone support to all customers. Live Chat services are not available. This pharmacy does not have a discount number either does it provide a coupon code. However, it offers discount rates of up to 10% for orders above $200. Furthermore, customers get free airmail and EMS shipping for orders above $200 and $300 respectively. Sky Pharmacy offers an avenue where clients can post their feedback. We managed to post our own feedback on the site. However, we noticed that they do not have a social media handle where customers can share their experience. Additionally, the testimonials available on this site seem copied from other rogue websites. A good example is a testimonial from Benjamin from Andorra, which also appears in other rogue websites. This shows that this pharmacy is deceptive and it is only after your money. Is pharm-24h.com a scam or legit? From the look of things, pharm-24.com is a scam. Our investigations reveal that it belongs to an illegal affiliate program with over 100 mirror websites. Sky Pharmacy is operating without a license neither do they have any legal approvals from regulatory agencies. This means that they are operating illegally and you may encounter counterfeit medications. Considering all the negative aspects relating to this store, we can only give it a 1.1-star rating out of 5.